it’s a practice that allows you to enhance your prayer life using paper and pens, pencils, crayons, whatever. this past week of kidz camp our focus was “experiencing God” and we taught experiencing God through prayer, the bible, and hanging out with people that love Jesus. when i read Praying in Color, i knew that i wanted us to do this at camp for our ART breakout. holly bieber, one of my most artistic friends came to lead things. you see… as you are drawing, coloring, decorating… you are focused on your subject matter. with this in mind, this creates a prayer experience with visual evidence. then, each time you reflect on the thing you drew, you are able to repeat the prayer. does that makes sense? i hope so… it was pretty special. here is a link: http://prayingincolor.com/ The author, Sybil MacBeth, has given us something new to consider… and i’m so grateful. so so grateful. sometimes you get a great opportunity… and you have to decide whether to go for it or not. will you write a curriculum? YES. Yes. Yes. Yes. there have also been times i’ve said NO. these were things that competed with what God wants me to do, or that took away from my other responsibilities. here’s the thing, when opportunities present themselves, i make a plus and minus chart. listing the plusses on one side, and minuses on the other side, then i see which one wins. (my dad taught me this). it takes hard work to be “in the right place at the right time”. it takes putting yourself in as many ‘right places’ at as many ‘times’ as possible. then when it is time to engage with you, they will already be a fan of your life… it will be easy for them to become a fan of your work. 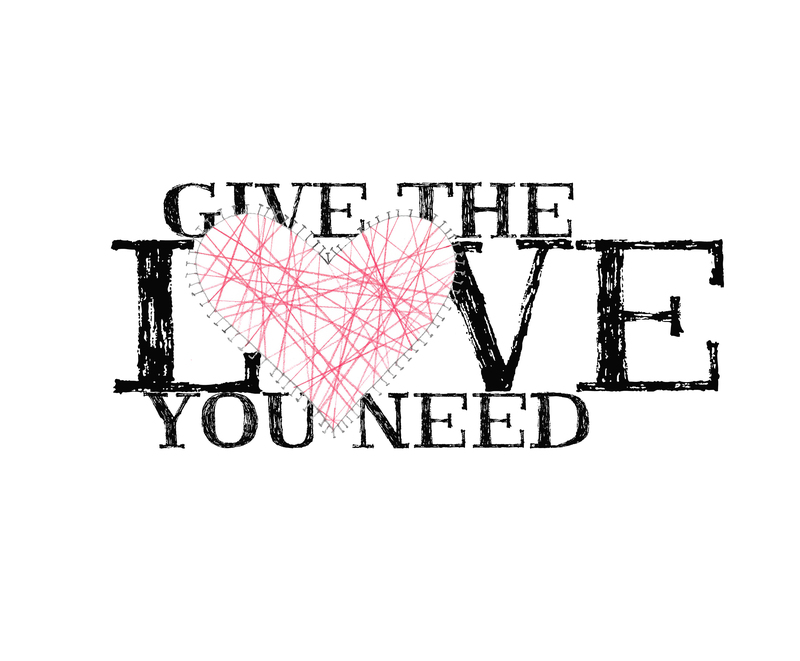 give the love that you need. friends. i have found a new love. songwriting. i have often said that my goal is to find as many ways as i possibly can to tell the true story of Jesus. this is just the next new way that God is allowing me to do that. and i freaking love it. i’m enchanted by the process, the craftsmanship, the team effort it requires and the results. i believe it is great stewardship of a good idea to trap it in a song. it has an endless life cycle that is many time enjoyed more, the more times it is experienced. you might watch your favorite movie a handful of times… but a song… you will put on repeat. you will share. you will think about. i just love the nature of what a song provides. when i first started wanted to write a song it was all about a certain song i wanted to write. We know that everyone around us has pain… so at our best we try to extend grace. then i started realizing something adults (eh hem, myself) were kinder to each other than they were to kids they encountered. but somehow when it comes to kids, i think we(I) default to thinking: that just because they are smaller, they should just obey and listen to us (whether they are our own or not) and we(I) forget that they have a story, too. many kids have more pain in their lives than you or i. and they are powerless to change their situation. unlike adults, kids are trapped in whatever situation the adults around them have put them in. which is not altogether horrible, but if my premise is to look in love, then i also have to look at those who i’m trying to encourage with that same love. you’ve possibly read about “THE LOVE FILTER” before, and in fact, you will see the thought process behind the song from months ago. anyway, here is where i landed… i dont need a convicting song. or tearjerker. i want to remind people about the love they have been shown and encourage them to show the same love. in a writing session with one of my favorite worship leaders and voices ever, Jordan Reynolds… we finally wrote the song that has been in my heart and mind all of this time. the song that started my journey, even though it’s not the first song i’ve written. just give them the love that you need. experience you really don’t want to miss. 4 a limited time. it must mean that it will take at least two of my selves to absorb the joy. when you listen to this new song that I’ve written with my friend and co-writer curt campbell you might understand why. then the singers brought it home: jordan kyle reynolds and haley hamilton. i asked my boss… what are we going to talk about in our meeting? he said… it’s a teaching meeting. we were told to leave our phones outside, not try to check-in, but really focus on what we were about to hear. Then our pastor, David Landrith asked a room full of pastors and ministers to write down how we would share the truth of Jesus Christ in 5 words. 4 – we have a pastor that gets how important solidarity is. 5 – jeff Lovingood loves kids, students, people, and wants them to know the God of the Universe. When we are going to someone about their need for a Savior, we start with identifying that yes, we all SIN (have you ever met a 2 year old that you had to teach selfishness, too? ; have you ever been unkind to your sibling? have you ever disobeyed your parent? have you ever lied? cheated?) … me too. The thing is we are sinners, but God is perfect, and he can’t have sinners in his perfect heaven… so he sent Jesus. God LOVED us so much that he sent his son to live a perfect life, then die on the CROSS, conquer death when he was raised from the dead. If we CONFESS our sin, and CONFESS that we believe that this is true… He took our place so that we may have ETERNITY in heaven. we felt good about this order… and then Jeff shared their list. They started with God. Dang, why didn’t we think of that? he made the point that we should start with God’s love. this was particularly convicting to me, because i have been thinking, praying, obsessing on the idea of LOVE. for 2 years… why didn’t i start with that? Prayer. a conversation with someone that loves you enough to die for you. Church. a group of likeminded people that are required to love you. Promise. of a future. of a hope. of his blessing and hope. … btw… all of the things that people think of as “NO NO’s” are things that don’t actually add to life, no matter who you are. Consider the 10 commandments. Even if you don’t care about what God wants, you have to agree that life is better in general without: lying, adultery, idol worship, cheating, cursing God, skipping a rest (sabbath), murder and stealing. The Christian life is a richer, better life, regardless of the eternal implications. Add to that… the promise of a home waiting for you after your death on earth where there is no sadness or mourning… PLEASE. WHO WOULDN’T WANT THAT? POINT TAKEN. START WITH THE LOVE. you see, at long hollow, we unapologetically share our beliefs. we spend the whole year telling, teaching, singing, planting seeds. every single thing we do starts with one thing: showing people how to get to the God that loves them. when summer time comes, we expect a harvest. we expect to see people stepping away from the chaos and into the peace of Christ. we expect that our weekly efforts to share truth will culminate in an environment for people to accept the forgiveness of the man who died to save them. this is why our pastor wanted to make sure we knew how to share. and that we would start with love. as our year is about loving people, our summer is actively about taking people from understanding the LOVE of God to the separation that sin creates from God… then the substitution of Jesus in our place, when he lived a perfect life so that he would be a worthy sacrifice… when we believe that we have the promise of Heaven. he implored us to use examples and illustrations to help people understand. he told us to follow the plan. he set before us a method for sharing succinctly, clearly, and with a life-giving message. What did you do in your staff meeting today? what’s so great about camp, anyway. 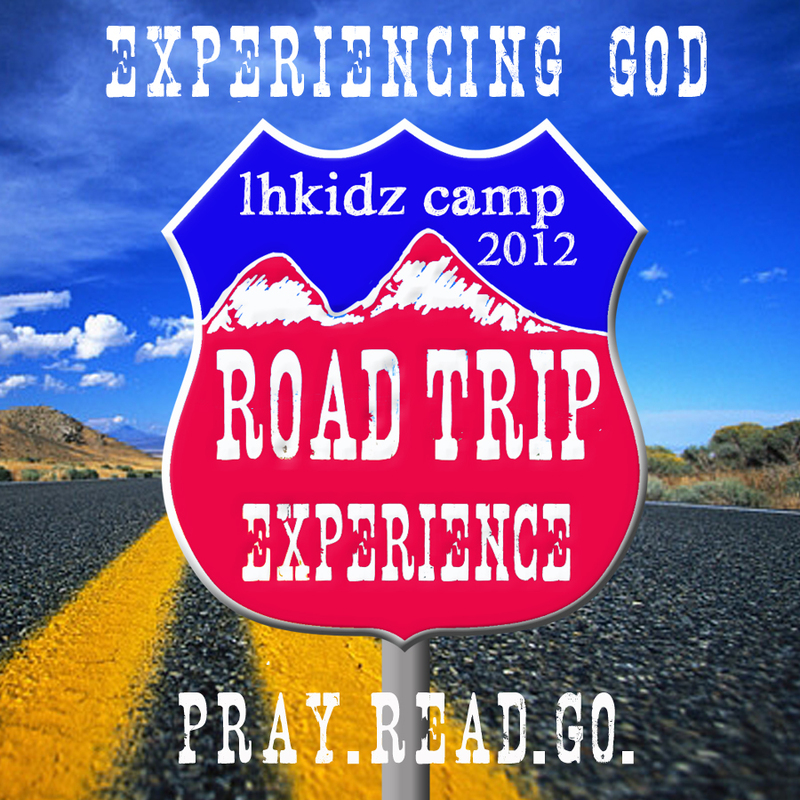 we’ve been calling families for two solid days to invite them to lhkidz camp. i wish i could speak to each and every person myself and share the importance of camp with them… but that is simply not possible. i thought i would share here, so i can hash out how i really feel, share it with you and hopefully encourage people to make an eternal investment in their kids. Going away with church friends takes relationships at church to a whole new level. It allows kids to have conversations about God that they normally would never have. It allows them to hang out with kids they don’t normally see in class because they might be at a different hour or different campus. Camp is about eternal relationships. It gives kids the greatest opportunity to find those forever friends they might have missed. It is safe. There is no team, no sports camp, no lesson you can sign your kid up for that will give them more of eternal value in such a short time. I really don’t want any kid to miss the infusion in their heart, that camp provides. personally… my kids are still connected to the people that they met in camp, their small group leaders, the kids in their cabin. it’s a marker in their lives. personally, i have my own fond memories from camp… don’t you? -camp is a place that they get away from electronics, couchsitting, television and the distractions fall away allowing them to focus differently on friends, fun and God. -camp is where the things of the church, the gospel get to come alive and be seen as FUN. -at camp you get to spend quality time with friends, and you make new friends… you see people differently when they are sweating next to you, or singing next to you. -at camp you meet adults that love Jesus enough to spend the week with you, more role models, more people to connect with when you get back to church. -at camp you get to be messy. and loud. and artistic. and creative. and you get to laugh. 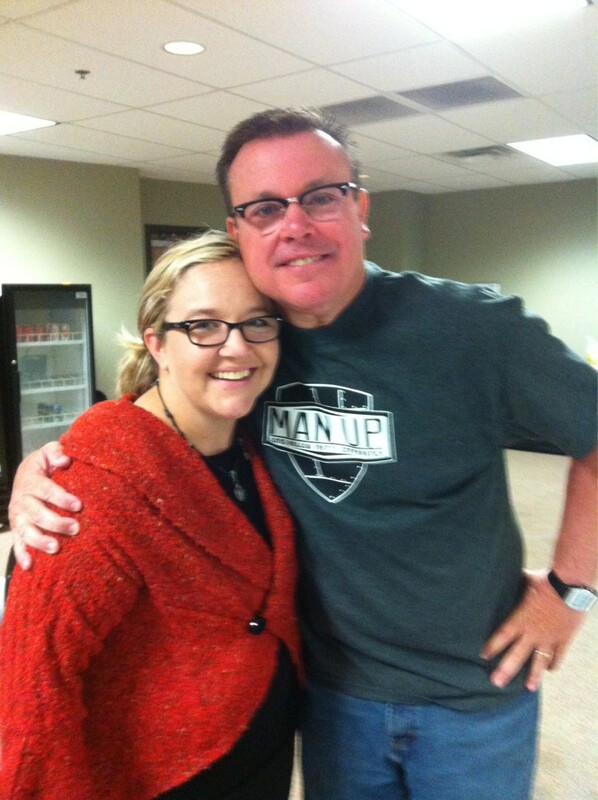 -at camp you get to really know pastor jason, me, and the rest of our team. 1 – i don’t have the money. ok, i hear you on that. the thing is, there are scholarship opportunities and other options like Kroger Cares dollars. the bottom line is we don’t want your kid to miss camp because of money, so let’s see if we can get you some help. here’s the thing, there are lots of things we do for and with our kids that aren’t their first choice or what they thought they wanted. we don’t let them stay up all night or eat only junkfood, because we know best. we see the big picture. don’t let fear stop you from doing something for your child that might be the richest thing they can do, spiritually speaking, all summer. i just don’t want your kids to miss out. that’s all. my kids could not be cooler. we were driving around with 1 hour to kill and on our way to an outdoor mall when quint saw a sign… for an art gallery. he said, “let’s go!” i drove past it thinking that the others wouldn’t be as interested as quint and i would be. he said “why did you pass it? let’s turn around” so i did. i said, ok, if it costs more than $2 each we’re not going to go. we went in… and it was free to the public. boom. let’s stay! we looked at some of the art, and the guide told us no touching except for one room where you can touch the sculptures… we looked at about 20 paintings… then somebody, i’m not sure which one, started to act out the paintings/etchings. then they would run to the next one and act out the scene… then the next one.. and the next one… quickly the museum guards began to circle us, to make sure we weren’t touching anything because we were having way too much fun. i can’t imagine that they’ve ever had 4 kids, ages 7-15, laughing and having a blast walking through their museum. but that’s what my kids were doing. the pictures tell the story best. 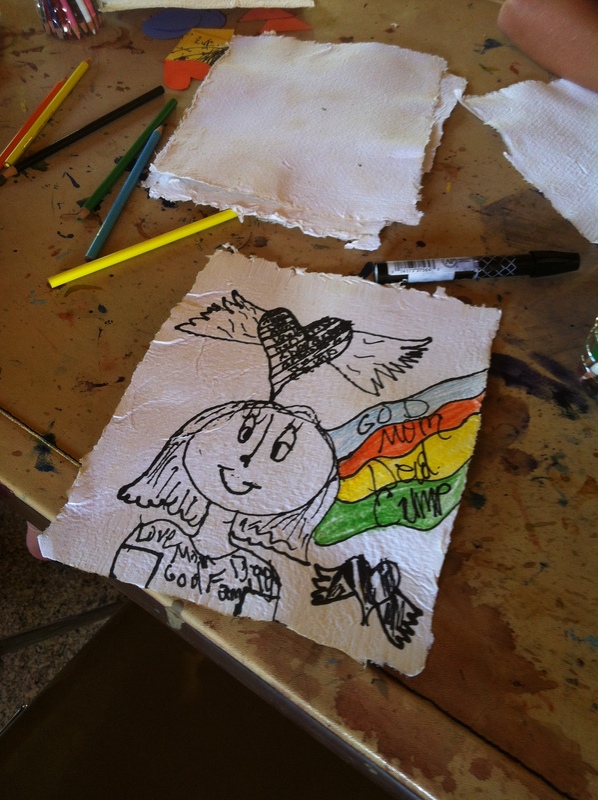 here’s what i would tell you… teach your kids to love art. teach them to interact with art. since when was an art museum as interactive as this experience was… so proud of these four people that i get to parent, teach, learn from, and love to pieces. i never enjoyed an art museum more.